Cultured marble is a blend of stone particles and resins that is combined with pigments to produce a wide range of colors and realistic, natural looking patterns. Unlike quarried stone, cultured marble is cast in molds to create specific pieces such as bathtubs, sinks, countertops, backsplashes, moldings and trim, shower walls and shower pans. Beautiful �C Veining and patterns can be incorporated during the casting process, creating character, depth and interest that mimics its natural counterpart. Low Maintenance �C Cultured marble never needs to be sealed and is easy to clean with non-abrasive products. 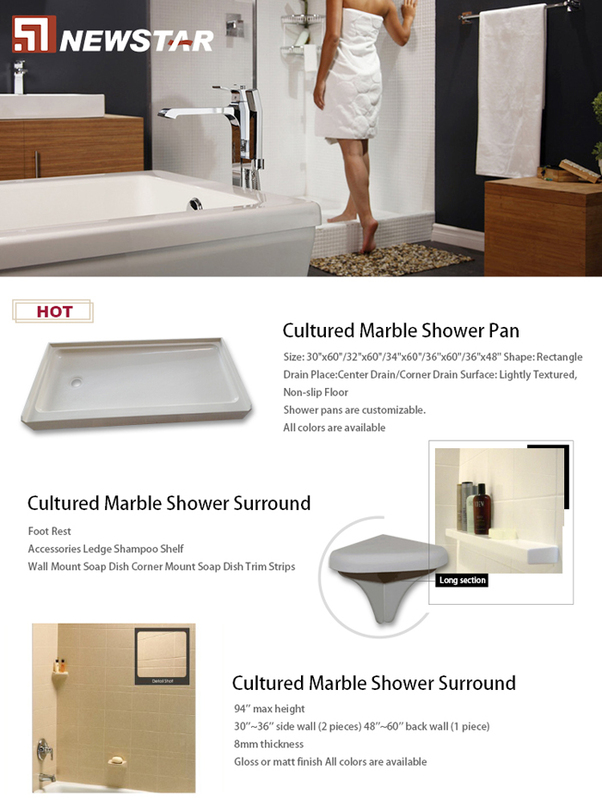 Durable �C Cultured marble is non-porous, making it extremely tough and resistant to stains, mildew and chips. Economical �C In general, cultured marble is less expensive to fabricate and install than slab marble, but will increase the overall value of a home just as natural stone products will. Customizable �C Because it is a cast product, cultured marble offers a wide range of color options and pieces can be shaped to fit your specific needs and decor.